Home > General > Meet the Surface Laptop. Microsoft’s most personal and balanced Surface yet. The Surface Laptop is a real beauty. That’s the latest hardware addition to the Surface family of wowing devices. At Microsoft’s May event in New York City targeted at educators and students, Microsoft introduced Windows 10 S. Microsoft says Windows 10 S is inspired by students and teachers. The Operating System experience is streamlined for simplicity, security and superior performance. As part of the creation of this new experience, the Surface Laptop was unveiled. Microsoft sure knows how to listen and do things right. The reaction to the announcement of this device has been amazing. Let’s take a look at features and what powers the device. It has the same premium feel we’ve come to know about the Microsoft Surface brand. It comes in four colours, Burgundy, Platinum, Cobalt Blue and Graphite Gold. It comes in either the i5 or i7 variants of the 7th generation intel core processor. With RAM sizes from 4,8, and 16 GB. It sports solid state drives of 128, 256 and 512 GB. It weights about 1.25kgs. Microsoft says you can get up to 14.5 hours of battery life, well that’s based off on video playback. 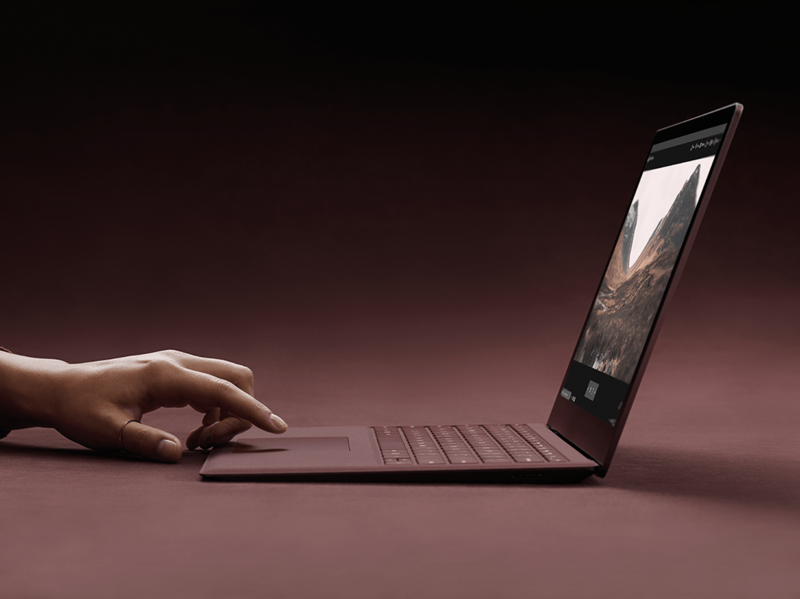 During the event Surface Chief Panay Panos said it has the highest battery life compared to all existing MacBook PC, also based on video playback. It’s light and thin. It is Surface pen enabled. You can also use the Surface Dial with the device, just not on the screen. The screen is definitely touch. You’ll need to understand that there’ll be some features that wouldn’t be available on a particular model. For example the i5 variant doesn’t have the iris scanner and doesn’t come in certain colours. Even though the device comes with Windows 10 S installed you can upgrade it till 31/12 this year to Windows 10 Pro for free. Also after the free period you can for a reduced price of 42$. You can pre-order the devices today and they start shipping on the 15th of June 2017.